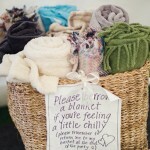 From fabulous fairy-lit cherry blossom & evergreen trees, which give your venue the wow factor, to baskets of snuggly blankets to keep your guests warm, we have all sorts of extremely lovely treasures for you to hire. 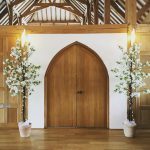 We are also passionate about creating beautiful bespoke decor for your wedding such as beautiful arches, stunning trees...anything your heart desires! 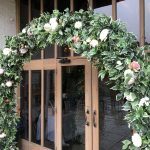 And if you need a helping hand to pull all your wonderful ideas together (those pages you've earmarked in magazines and gorgeous ideas you've "pinned" online) we'll work alongside you to create a stylish wedding that is unique to you as a couple. 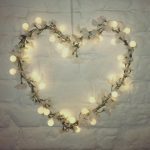 Even if you've already accrued your own collection of wedding bits and bobs, we'll be happy to help you pull it all together to create the wedding you're dreaming of and, if you want us to, we'll be on hand on the day to make sure everything goes to plan, so you & your family can all sit back, relax and enjoy your special day!